Power-up your Nintendo Switch™ accessories with the Joy-Con™ & Pro Controller Charging Dock! 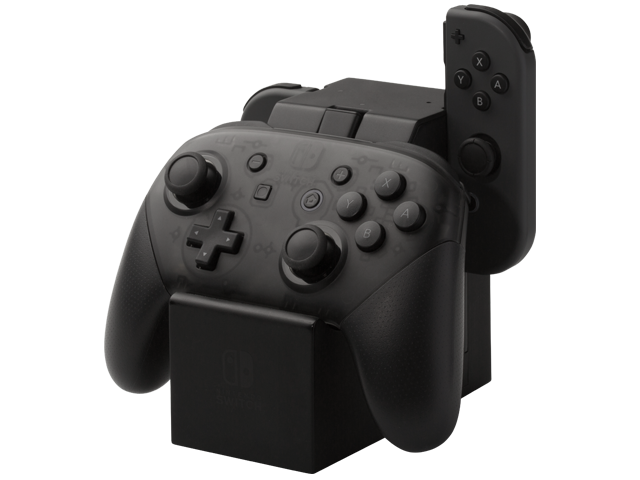 Features a slide-in design for Joy-Cons and includes a USB-C dongle for the Pro Controller, so you can drop and charge different controllers simultaneously. Individual LEDs will illuminate red while charging, and turn green when fully charged. Nintendo Switch Pro Controller and Joy-Con™ controllers not included.